Have you ever seen the inside of a private jet? I don’t mean in pictures, peasants, I mean have you really seen one, from the inside? They all look like conversion vans. All of them. Even the nice ones, look like nice vans. It’s the weirdest thing. And when you think about it, LouderThanTeslas is right. 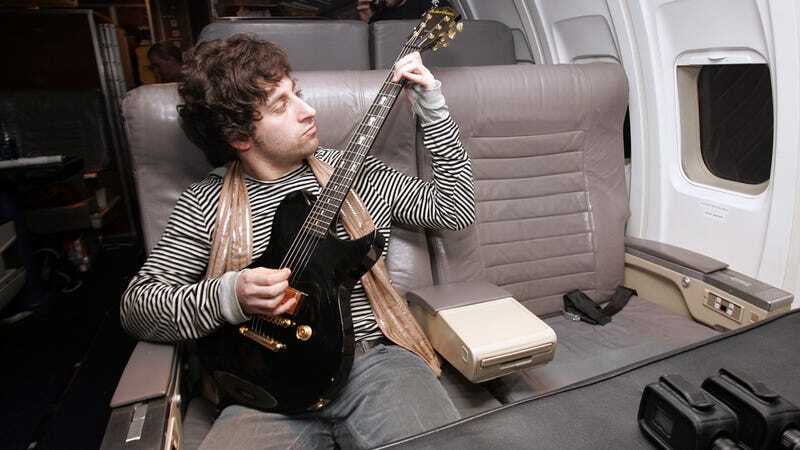 Look at the gentleman up top, a member of a band from before your time called “Fall Out Boy.” He looks happy, I guess, for a guy playing a guitar on a plane. But look at the seat he’s in. It’s the same shade of gray as shower detritus. I’m pretty sure I saw that interior last being used by Def Leppard. I have no idea why this is. Truly, a mystery of the universe. LouderThanTeslas, congratulations on your COTD win. May you forever blast through the skies in a jet of your very own.